Rainbow and the Lost Dash at TeePublic! 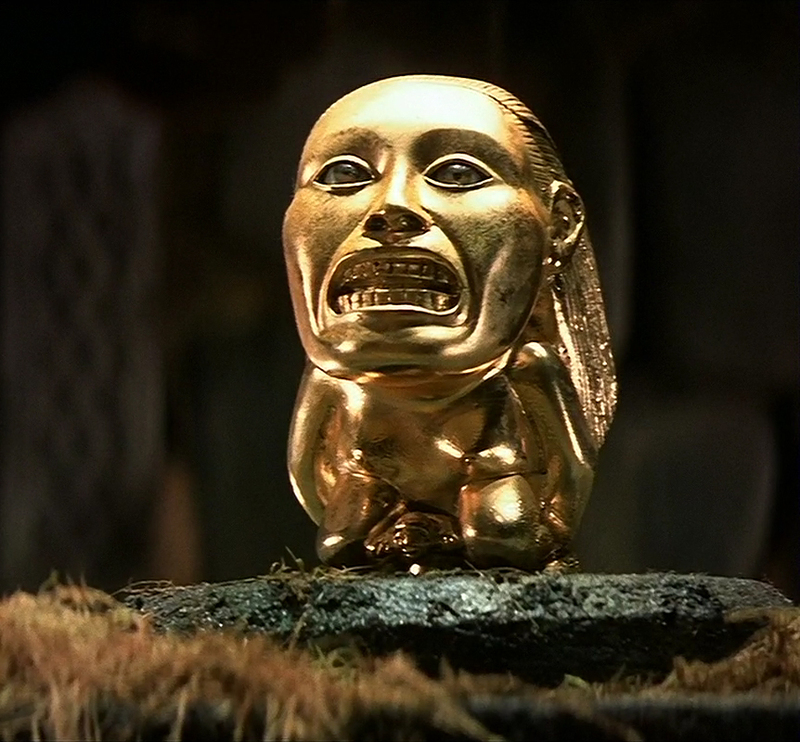 HD screencap of the fertility idol from the opening scenes of “Raiders of the Lost Ark,” 1981. This particular frame clearly shows the idol’s glass eyes, which were remote-controlled on set, allowing the idol to ‘watch’ Indy as he approaches. Also clearly visible is the seam line at the top of the forehead, where the back of the ‘hair’ could be removed to access the mechanics of the eyes.